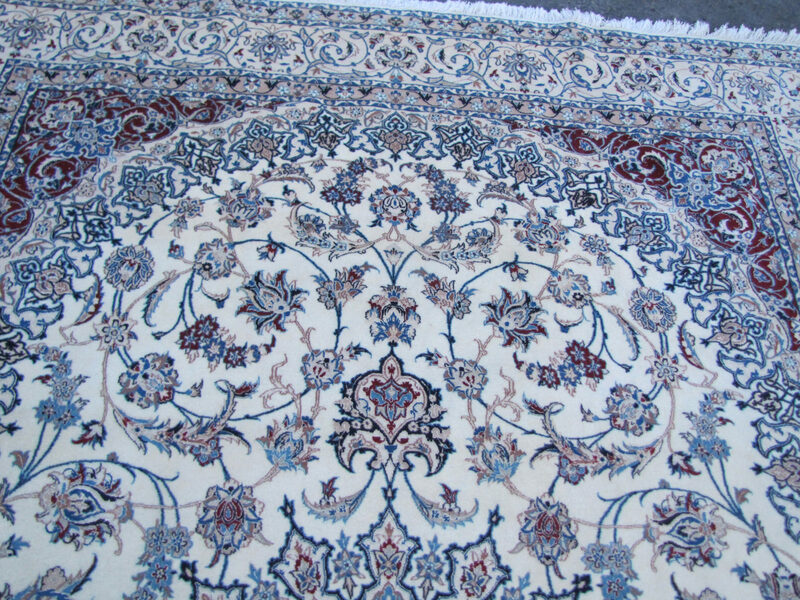 It is cotton foundation with wool pile and some silk pile with extremely fine weave as can be seen on many images. The colors are soft and easy to work with them in any room, the background color is ivory with light peach border and other colors are dark wine red, lit brown, lit blue and other colors. The foundation is 100% cotton with cork wool and silk pile. 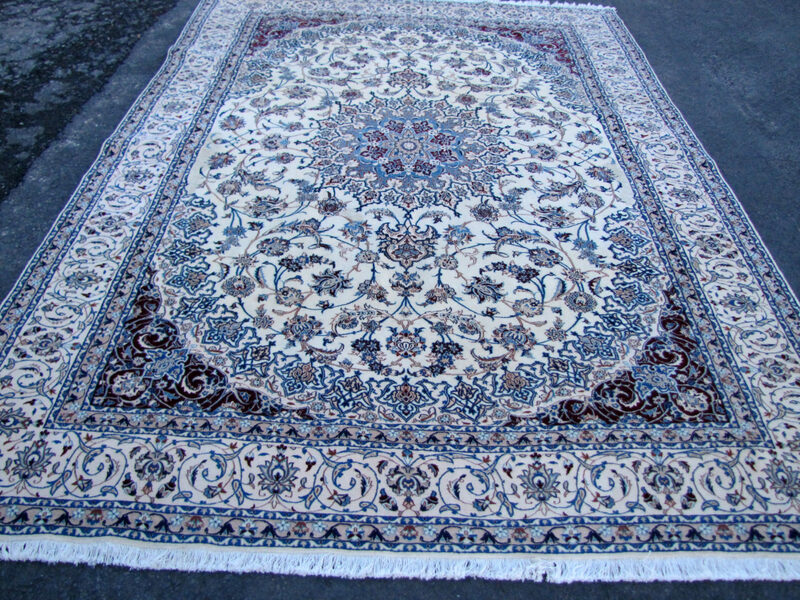 the wool pile is the best persian wool around. 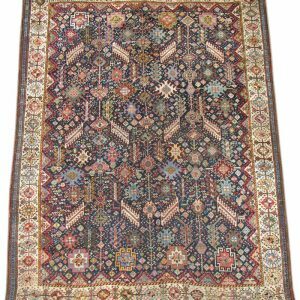 the rug is complete with no any missing rows with great fine weave. 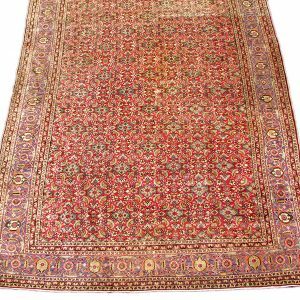 This like few other the same era vintage persian rugs came to us from estate in williamsport pa on fourth street. 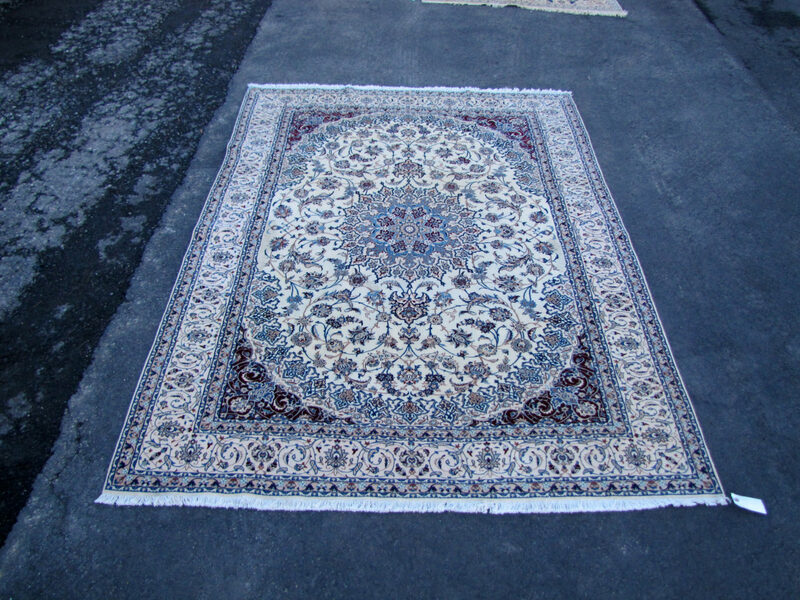 We have few other rugs from the same este. 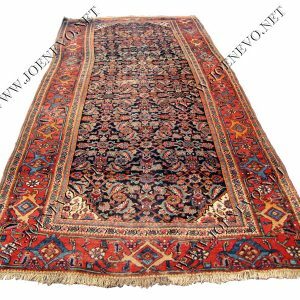 Note: this is a quality persian rug, do not confuse with many low end rugs we see around.